Woops! is a 46-unit bakery chain specializing in macarons that, as the name implies, came about by accident. Raj Bhatt, the primary investor and chief financial officer of the chain, founded it in 2012 with four friends who all were involved in the Israeli chain Aroma Espresso Bar. They decided that the Bryant Park Holiday Shops, a nine-week pop-up that flourishes each year in Midtown Manhattan, needed macarons, so they leased a small baking facility in the Bronx owned by a friend and ended up selling close to $250,000 worth of the sandwich cookies. “Woops! We had a business,” Bhatt said. In fact, Bhatt said that shopping malls started calling them, and they started operating kiosks there. 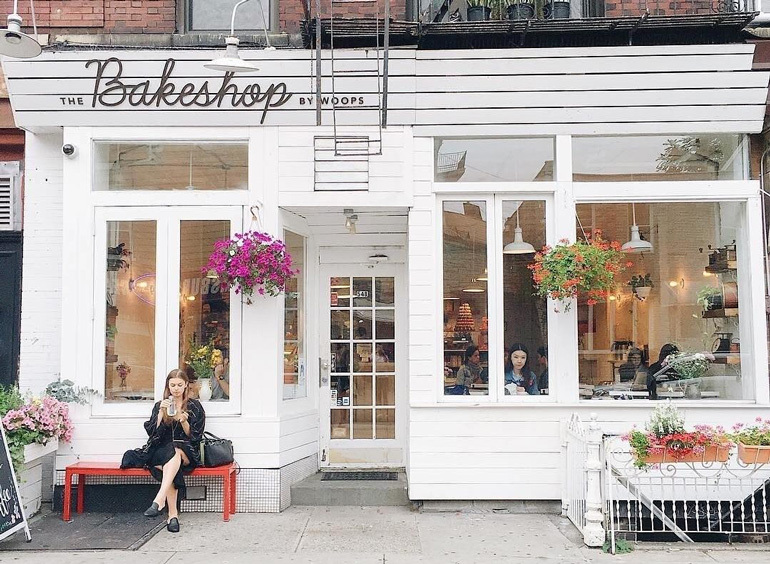 Soon, they’d bought out their friends’ Bronx bakery and opened a cafe in Williamsburg with a more extensive menu including sandwiches and a wider range of baked goods, including many that are popular worldwide but hard to find in the United States. Those include alfajores, a South American shortbread sandwich cookie that Woops! fills with either dulce de leche or Nutella, as well as a laminated Israeli version of the Jewish rolled cookie rugelach, made with a flakier dough than the Eastern European versions. Those are baked in-house, but other specialties are imported, including Portuguese custard tarts called pasteis de nata, and fluffy chocolate-covered meringue/marshmallow treats — a sort of upscale Mallomar — that the Danish call Fløderbolle, Israelis call Krembo, and Woops! calls Cremebellos. They also offer large, 5.5-ounce American-style cookies in flavors like chocolate chip walnut. Sandwiches, including tomato with mozzarella and apple-brie-arugula, are made on croissants imported from France. 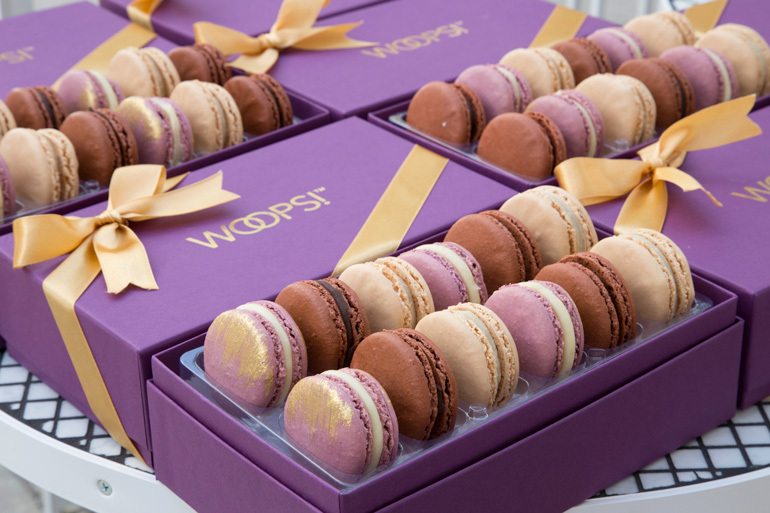 But the chain is best known for its colorful macarons, which clients order in pyramidal cones as wedding cakes and in customizable boxes as gifts. Although macarons are generally stuffed with flavored buttercream, Woops! uses white chocolate ganache instead. Flavors include classics, such as pistachio, as well as more American flavors such as blueberry cheesecake and peanut butter and jelly. “They’re not so French-stuffy, but very fashion-oriented, more of a lifestyle orientation to the brand,” Bhatt said. Although macarons make up 90 percent of sales at kiosks, at the cafes they’re closer to 30 percent or 40 percent. Sandwiches make up around 20 percent, with coffee and pastries making up the rest. Bhatt said the nine cafes currently open have average unit volumes in the $400,000-$450,000 range and the 37 kiosks do around $225,000. Cafes cost around $250,000-$350,000 to open, Kiosks are $70,000-$100,000, including equipment, franchisees fees and three months’ working capital, he said. 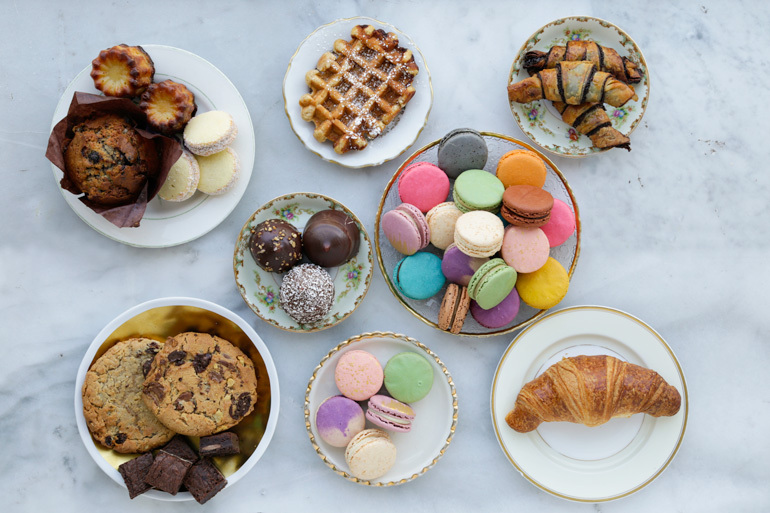 Although macarons are the bread and butter, so to speak, of the kiosks, Bhatt said he left the French cookies off of the restaurant’s name so they could capitalize on other trends as the sweet treat market evolves. The New York City-based company currently operates eight locations and franchises the rest, and plans to grow across the country, Bhatt said. 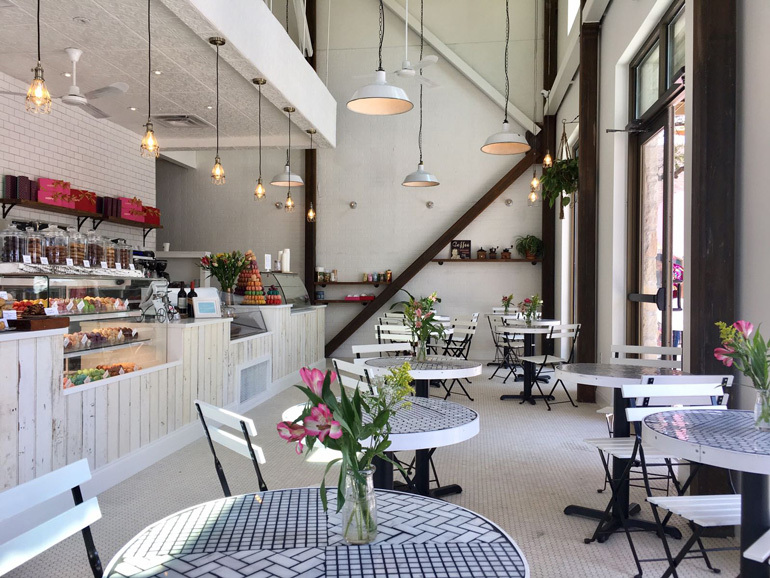 He said franchisees tend to buy multiple kiosks, or operate a hub-and-spoke model in which cookies and other pastries are baked at the cafe and delivered to the kiosks. Although in the morning customers use the cafes as to grab coffee and a pastry, “we’re actually more of a gifting shop,” Bhatt said. “Even though we look like a cafe, we want you to come here and find a gift for yourself, whether it’s food or taking a box of macarons, cookies or tartes to your co-workers or taking it home,” he said, adding that, apart from the surprise that macaron kiosks can be a profitable business, Woops! also symbolizes the experience he hopes guests will have. “A Woops! experience can be, ‘Woops! I just ate an extra thousand calories,’ or ‘Woops! This is the best thing I’ve ever had’,” he said. There are currently Woops! locations in 17 states.